Formulated from pigments, oils, waxes, and emollients, lipstick has been making waves since the late 18th century. Yet since its big break, some lipsticks simply outshine others. Depending on what brand you are buying your lipstick from, you may find yourself tearing up a bit while you swipe your debit card. Other times, you may feel good knowing you only spent five dollars, but end up disappointed by the color payoff. Sure, inexpensive lipstick dupes exist but they’re unicorns. Occasionally a lower-priced product will produce somewhat similar results to those of high-quality, but finding those low budget gems can often be a hassle. Why it that exactly? Better quality ingredients cost a pretty penny. In most cases, a higher-priced lipstick will outperform a drugstore brand as ingredients used in a high-quality product are uniquely formulated to be more effective. Ingredients used in drugstore brand lipsticks are often mass produced or synthetic. A high-quality product should have a superior formula meaning the lipstick will last longer, provide a better color payoff, and feel better on the lips without drying them out. The application of an excellent matte lipstick should feel buttery-smooth at first, while then leaving the lips feeling matte and hydrated. This luxury brand lipstick, normally retailing for $22, is usually available on sale for less on numerous cosmetics websites. It is available in six unique colors ranging from After Dark, which is a plum shade, to Tilt, which is a rosy peach shade. This line provides both soft shades for daily wear and deep shades for when you are feeling extra bold. The Matte Revolution Lipstick line is raved about throughout the beauty community. Reviewers state that this creamy lipstick is easy to control and does not over-dry. This is especially noteworthy, because cracking due to lipstick being too dry is a common issue among matte lipsticks. Luckily, this lipstick line does not have to worry about that. This lipstick is neither easily transferable, nor is the formula sticky. Plenty of individuals who use this lipstick adore the fact the color lasts for hours on end. Gurus recommend applying primer and lining your lips with a similar shade before using UD Matte Revolution Lipsticks to ensure even longer staying power. Oh, boy, do I have a formula for you! Stila Stay All Day Liquid Lipstick is an ultra-creamy, high pigmented holy grail of lipstick. Available in 26 noteworthy shades, this matte liquid lipstick retails for $24 on Stila’s website. Beso, a true red, is a shade that flatters any skin tone; it is also the most popular of the 26 different shades. Individuals who have purchased this product praise the fact that each formula dries matte, yet feels weightless on the lips. These formulas do not transfer or feather like many other liquid lipsticks. As mentioned before, transferring and cracking are the first signs of a lipstick not holding up to its price tag. 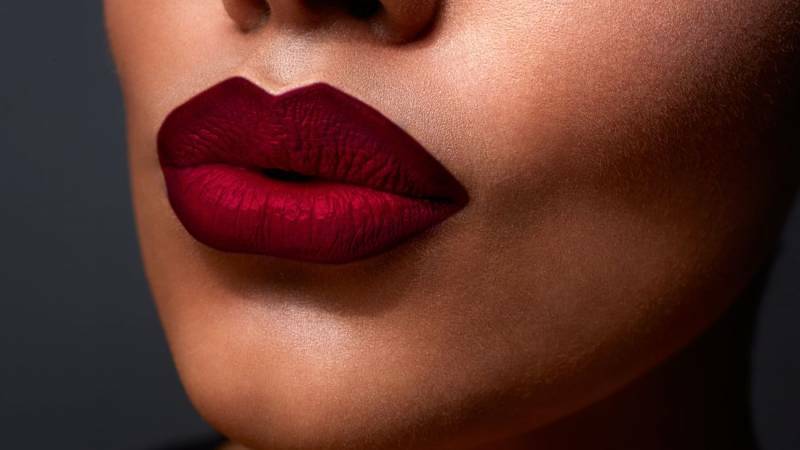 When applying any matte lipstick, it is best to line your lips to prevent feathering. A lip liner, typically made from waxes and powders, acts a barrier stopping lipsticks from bleeding into the fine lines around the mouth. The Joker smile is not a good look on anyone, so let’s avoid it at all costs. Because the Stay All Day Liquid Lipstick is enhanced with Vitamin E and avocado oil, the lips will remain hydrated and comfortable with long-lasting color for up to 6 hours of continuous wear. Kat Von D Everlasting Liquid Lipstick is a one-of-a-kind, life-proof lipstick. Whatever you throw at this lipstick, it can handle it and so can you! While eating and drinking, you can remain worry free knowing that your colorful pout is flawless. The fabulous Katherine von Drachenberg created 43 irresistible shades of Everlasting Liquid Lipstick ranging from Echo, a midnight blue, to Outlaw, a brick red. Each shade in this lipstick line retails for $20 on Kat Von D’s website. As all matte formulas should be, this liquid lipstick feels velvety as it is applied over the lips and sets as a matte finish. This formula also claims to be a 24-hour wear. Often, matte lipsticks can begin to look cakey if it needs to be reapplied or touched up too many times. Since this full coverage liquid lipstick is a 24-hour wear, a touch up should rarely be necessary eliminating the possibility of a cakey pout. Individuals who have purchased this product adore the fact that it the formula doesn’t budge or look greasy on the lips. A few reviewers mention that these liquid lipsticks do not look cakey when applied. This high-pigment product is loaded with natural moisturizers, including Vitamin E and Sunflower Seed Wax. A creamy, effortless look can easily be achieved with this lipstick. Two Everlasting Liquid Lipstick formulas can be combined to create entirely new shades. On the Kat Von D Beauty site, there is a list of favorite pairings. The pairings listed are Requiem and L.U.V., Echo and Backstage Bambi, along with Susperia and Melancholia. To apply, swipe one layer of the first shade over your lips. Wait a few seconds before applying one layer of the second shade on top of the first. Bonus fact: Kat Von D Beauty products are 100% cruelty free and mostly vegan. All 3 of three high-quality matte lipsticks retail for under $25; they are all 100% worth the money. It is fabulous that three entirely different brands created formulas that hold up well against one another. If found on sale, Urban Decay Cosmetics Matte Revolution Lipstick is the best bang for your buck. With a sleek purple and black design, the packaging is aesthetically pleasing. The formula has a blend of avocado, olive and babassu oils along with vitamin C and vitamin E, leaving the lips feeling incredibly hydrated as well as being providing a hit of antioxidants. Retailing for $24, Stila Stay All Day Liquid Lipstick is the most expensive formula of the three. Like UD Matte Revolution Lipstick, it is enriched with Vitamin E and avocado oil to soften the lips. The 26 shades provide 6 hours of continuous worry-free wear, as they will not feather or transfer. Beso is a true red within the lipstick line that compliments any skin tone.Stay All Day Liquid Lipstick is the best for a wearable red! Kat Von D Everlasting Liquid Lipstick falls between the two in price range as it retails for $20. This long-lasting, smudge-proof charm is available in 43 incredible shades. The formula allows for shades to be combined to achieve the perfect looks. Feeling ultra-velvety when applied, yet setting to a matte finish, this vegan, cruelty-free lipstick is the best overall matte lipstick.